DVD05 is a 2017 Treasure Hunt and 8/10 in the X-Raycers series. 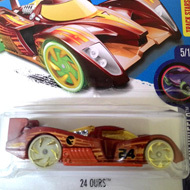 It has a translucent yellow body with an “X” and a graphic with the Hot Wheels logo. The sides have orange double stripes outlined in white and the low production symbol. The race car has an unpainted interior, translucent orange PR5 wheels with white trim, and a dark teal metal base. 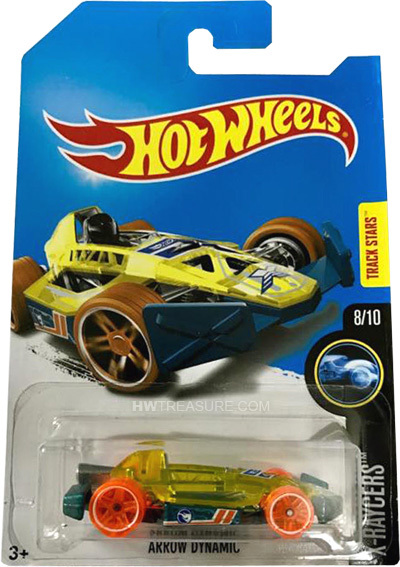 Arrow Dynamic made its debut in 2013 in the HW Racing series. 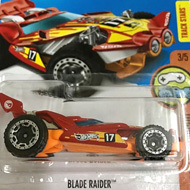 It is an original design of a F1 style racer.